Creating community level opportunities to encourage people to be vessels of change. 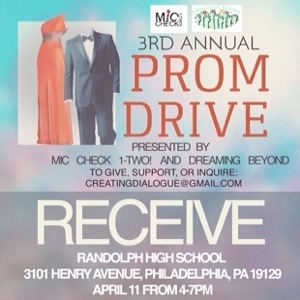 Take a look at photos from Mic Check 1-Two!’s 3rd annual Prom Drive Tour. 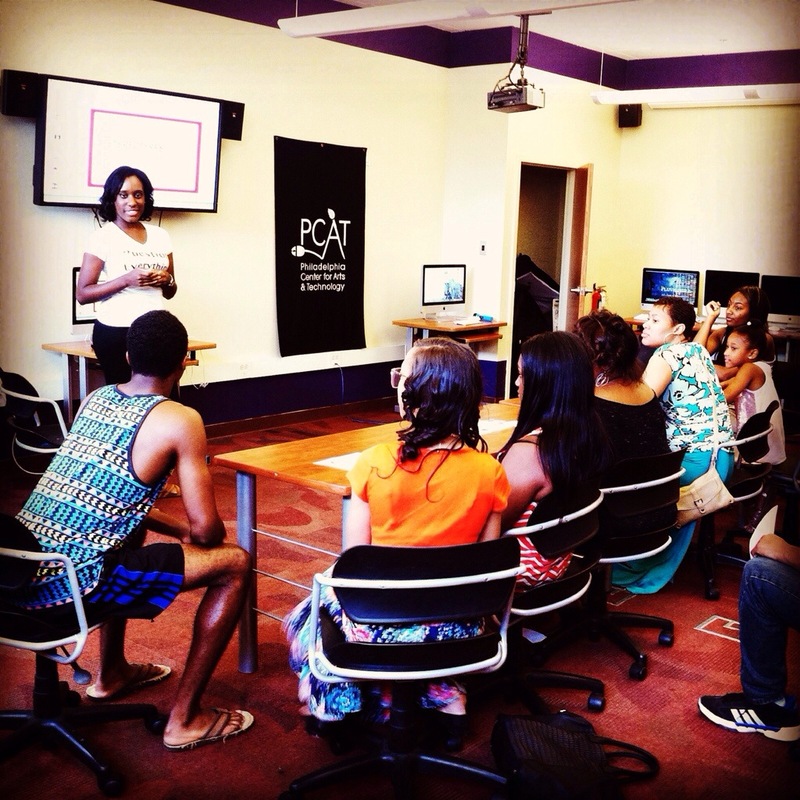 This year we visited Overbrook High School, Randolph High School and Delaware County Technical High School. These lovely young women and a few young men selected from gently-worn dresses for their special day. Much thanks to everyone who donated and volunteered to help these young queens! Click on the photos below to view the slideshow! Today we had the opportunity to host a workshop about “Misled” at “The Student Takeover” event at Philadelphia Center for Arts and Technology. 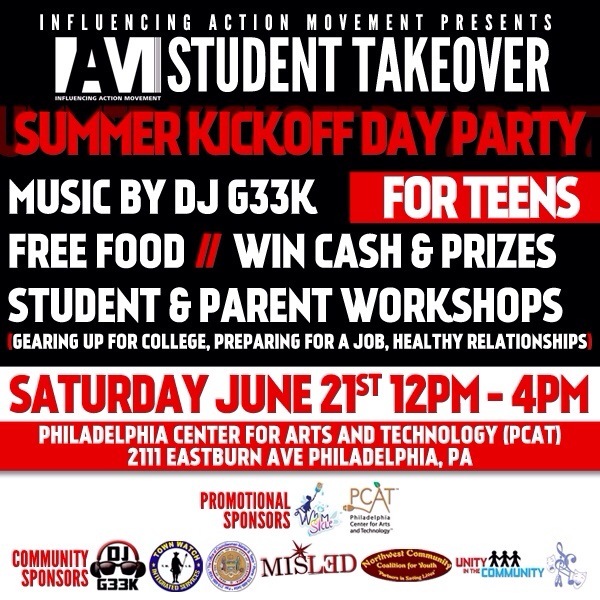 The event was organized by Influencing Action Movement and offered cash giveaways and mock interviews for parents and teens. We played a trivia game to test participants knowledge about commonly believed theories about African Americans. The four lucky winners walked away with gift cards to Chic-Fil-A and ITunes thanks to IAM! It’s that time again! See below for prom drive locations and details on upcoming prom drives! 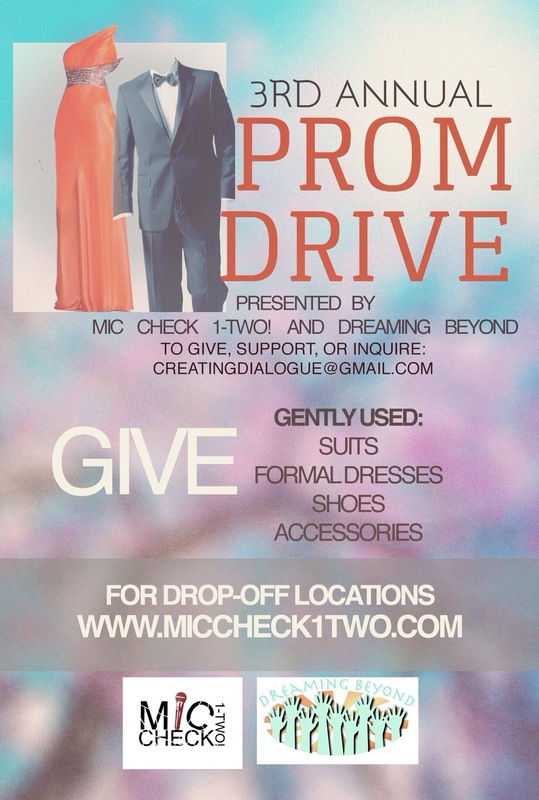 To donate dresses/suits or monetary contributions, please send an email to: creatingdialogue@gmail.com with “Prom Drive 2014” in the subject line. We are still in need of drop off locations for gowns and suits. If you know of anyone who would like to offer their business as a location and/or if you would like to help pick up dresses from individual donors please let us know! We could really use your support in helping with the rising production costs of #misled ! Nothing is too small! 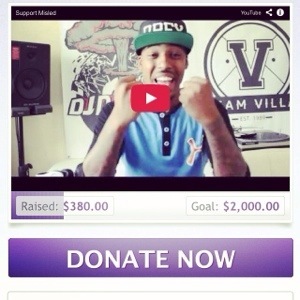 Please visit : http://www.gofundme.com/support-misled to donate! Please help us in our mission to educate and inform! And if you haven’t already, take a look at our newest episode below. We are SUPER excited to bring this all-new episode of Misled. Jail Cells> Dorm Rooms: The Fate of the Black Male in America. This mini-doc examines the effects of mass incarceration among black males and their families. We wanted to talk about the effect of incarceration from various perspectives in order to show the impact it has on an entire family, and culture. We examine the effects of poor education, stress-management and other factors that further perpetuate the cycle of mass incarceration among black males. In a heartbreaking interview, a child shares how much he misses his father who is currently incarcerated. You don’t want to miss this show! Please watch, share, and join in the conversation via comments on our website and YouTube Page and Social Media outlets. 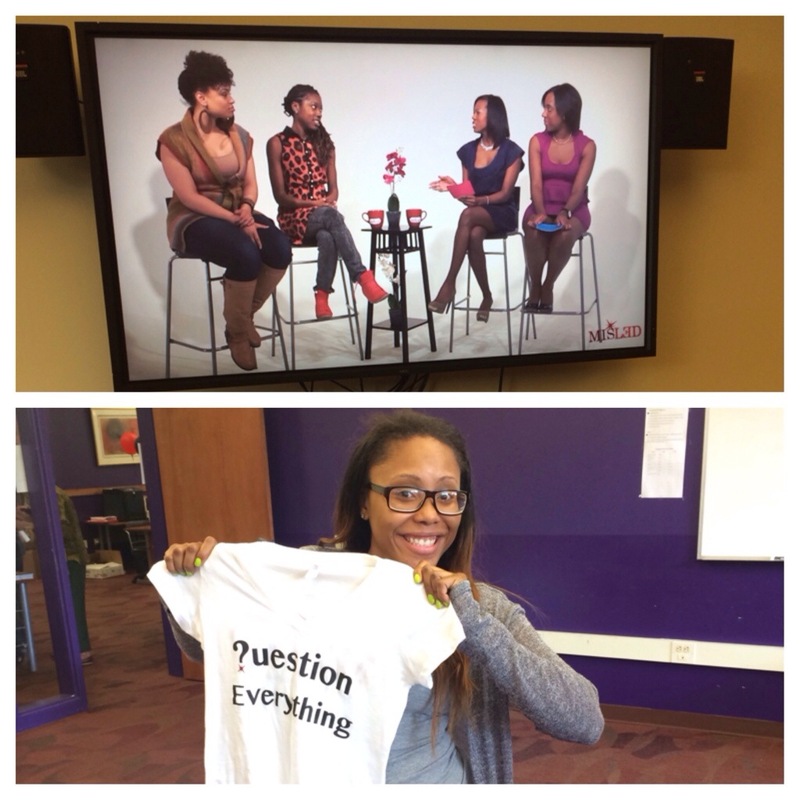 We would like to encourage you to subscribe to Mic Check 1-Two!’s YouTube page as well: Mic Check 1-Two! CHECK OUT THE ALL NEW EPISODE BELOW! 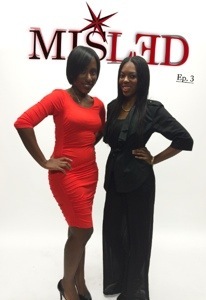 Misled: Episode 3 premieres THIS THURSDAY – FEBRUARY 13! 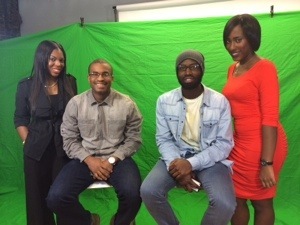 This episode will examine the effects of mass incarceration among black males and their families. Take a look at some behind the scenes footage of Misled: Episode 3 currently in production. In this episode we will examine the effects of mass incarceration among black males and their families.